Disclaimer: neither the author nor this website shall be held responsible for the misuse, and side effects resulting from using the info in this article. The information on this site is not intended or implied to be a substitute for professional medical advice, diagnosis or treatment. Always consult your physician before putting health advice into practice. Bentonite clay has a myriad of uses around the homestead and definitely deserves a spot in your apothecary. It is derived from volcanic ash. Long before modern medicine took control of our lives, bentonite clay was used to treat ailments in both humans and livestock. The largest known deposit of bentonite clay is located in Fort Benton, Wyoming. 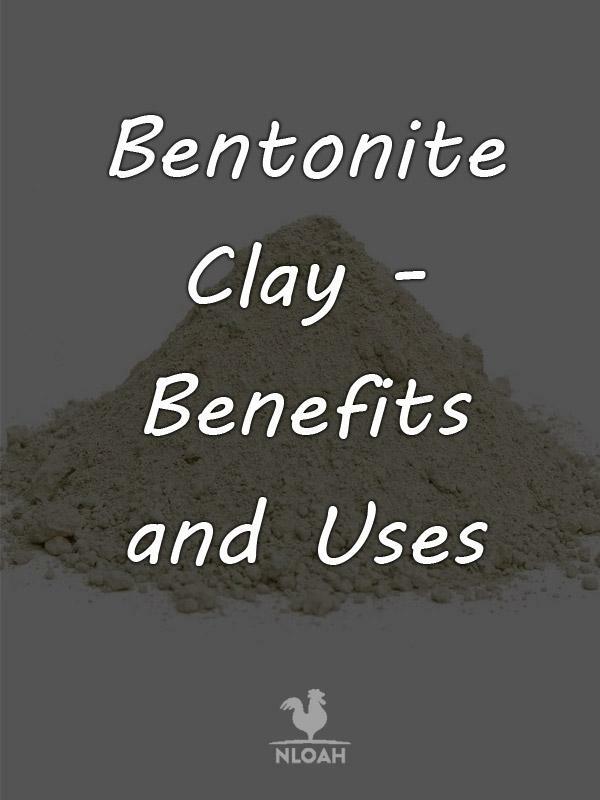 In just the past few years, bentonite clay has once again surged in popularity. A growing number of folks are using the clay as a part of their natural detoxification routine by using it both internally and externally. Seemingly instinctively, many animals begin eating dirt when they are sick, or when they have a poison present in their body. No one can really explain why or how an animal begins to desire clay when fighting toxins, but it seems to work in many cases. Bentonite clay, commonly referred to as Montmorillonite, is often touted as being one of the most effective healing clays in the world. It has become a primary ingredient in many skin care home remedies. The clay is cream and gray in color. The darker the gray, the more powerful the clay’s healing products may be. Pure white bentonite clay might have a far more clean cast, but the light color is said to indicate a weak or contaminated version or true Montmorillonite. Bentonite clay boasts a luxuriously soft velvet like. When water is mixed with the clay to hydrate it, an “electrical” charge of sorts occurs. The clay powder expands once it get wet and begins to act like a sponge. It is this change in composition that allows the bentonite clay to both absorb and remove heavy metals, chemicals, and other toxins, from the body. Impurities are drawn into the now spongy clay and become bound to it. The strong negative charge the bentonite clay carries bonds firmly with the positive charge present in most varieties of toxins. Once the clay finishes absorbing all of the impurities it can, it then releases minerals back into the body. Montmorillonite also pull excess hydrogen from body cells and infuses the body with oxygen. 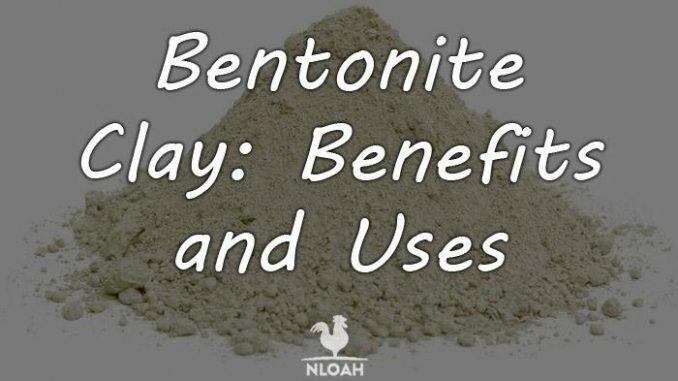 When taken in recommended doses, bentonite clay can have an alkalizing effect on the body and help balance or remove bad gut bacteria as well. • Acid Reflux – The clay has proven helpful in preventing and reducing acid reflux problems. To ingest it, herbalists often recommend Mixing in up to 1 teaspoon of the clay into a cup of water and drinking once per day as needed. Stir and shake the glass vigorously after pouring in the clay powder. • Gastrointestinal Problems – Bentonite clay has proven to be highly successful in absorbing germs caused by both coronavirus and rotavirus. Gastrointestinal problems are often caused by rotaviruses, particluarly in toddlers and babies. It’s also a common ingredient in herbal remedies designed to treat constipation, vomiting, diarrhea, gas, and bloating. • Skin Rashes – Make a poultice using bentonite clay and water and gently rub it onto the skin rash. Allow the clay mixture to harden to it can bind to the toxins and bacteria living on the surface of the rash and inside the pours. The poultice should also work as a drawing salve and pull bacteria and impurities out of the broken skin. This type of treatment often helps eliminate and prevent acne, blackheads, eczema, and to dry and heal poison ivy – while reducing redness, inflammation, and speeding up the healing process. • Detoxification – Pour a cup or two of bentonite clay into bath water and take a long hot soak. The clay will infiltrate your pores, bind to toxins and pull them out of the body. • Alkalize – Many process foods have a lasting and negative impact on our bodies and a highly acidic. • Gum Problems – Using the same mixture amounts as noted above, gargle bentonite clay daily to help reduce soreness and swelling or the gums. • Animal Illness – Pets can eat bentonite clay to help eliminate common stomach problems and vomiting. Mix about ¼ o a cup of clay into the animal’s water container and stir it to dissolve. The clay does not really have a taste and shouldn’t deter the sick pet or barnyard critter from drinking. • Diaper Rash – The aged volcanic ash is also often used to treat diaper rash and as a sprinkled powder before diapering to prevent a rash from occurring. • Insect Bites and Stings – Make a bentonite clay poultice using a 2 to 1 ratio with water and dab it onto the area where the bite or sting occurred. Allow it to harden and remain for at least two hours before gently washing and rubbing away the clay. • Immune System Booster – Consume bentonite clay in the recommended amount to give your body’s germ and illness fighting abilities a boost. The clay may help fight staph infections, E. coli, MRSA, and Salmonella. • Natural Shampoo – To make a natural hair cleanser that will most likely leaving your hair feeling amazingly soft, mix 3 tablespoons of bentontie clay with the same ratio of either water or apple cider vinegar – I highly recommend using the vinegar, and I promise your hair won’t stink after rinsing. Dampen your hair and apply the mixture and allow it to remain on your head for at least five minutes before rinsing. • Natural Vitamins – Bentonite clay is packed with essential vitamins and minerals. It has high amounts of calcium, magnesium, iron, copper, potassium, and silica. Some pregnant women have opted to consume the clay instead of purchasing commercially manufactured pre-natal vitamins. The consumption of just 50 grams of the clay per day is believed to give the body almost 100 percent of the manganese it requires, 13 percent of the needed iron intake, and 75 percent of recommended copper amounts. • 2 1/2 tablespoons of bentonite clay – the clay will absorb toxins, excess moisture, and help heal dry skin, rashes, and blemishes. • 1 tablespoon of beeswax – this will help bind the ingredients together into a firm bar form. • 2 tablespoons of coconut oil – this will allow the deodorant to glide easily across your skin and can help heal razor rash or other types of blemishes. • 2 drops each of any (or all) of the following essential oils: tea tree, lemongrass, citronella – each oil has natural skin healing properties and will also add a pleasant scent to the deodorant bar. • 2 tablespoons of arrowroot powder – optional but highly recommended to help keep the skin dry by acting as a wicking agent when perspiring. 1. Pour the shea butter, beeswax, and coconut oil into a pot and bring to a boil over medium heat. Both the shea butter and the beeswax must liquify before removing from the heat. Stir constantly to prevent scorching. 2. Remove the pot from the heat and stir in the essential oils, bentonite clay, baking soda, and arrowroot powder. 3. Pour the still liquid mixture into a metal or silicone mold of your choosing. Any 5 ounce container that will be flexible enough to allow you to release the deodorant bars should work. This recipe will make about three bars. 4. Allow the deodorant bars to cool to room temperature before releasing them from the molds – usually take a couple of hours. Store the deodorant bars in a ziplock baggy or similar airtight container. This recipe will make about three ounces of a toothpaste that can be spooned onto the toothbrush or place into a little travel size lotion or shampoo container and squeezed onto the toothbrush. 1. Place the baking soda, coconut oil, essential oil, mineral salt, and stevia into a non-metal bowl and mix thoroughly. 2. Slowly pour in the bentonite clay. 3. Add the water slowly, one tablespoon at a time and stirring constantly as you go. 4. Simply pour the mixed ingredients into the chosen storage container and attach the lid firmly. 1. Sodium bentonite clay will swell up to about six times its normal size when introduced to water. This massive expansion of its volume is what makes this type of clay ideal for removing toxins from the body. 2. Calcium bentonite clay does not expand as extensively as the sodium variety due to the small size of the volcanic ash particles which comprise the natural substance. Because of the particles in calcium bentonite clay, it is known to be especially effective at remineralizing the body after toxins are removed from cells. The small particles can pass through the wall of the colon and into the bloodstream far more easily than the sodium variety of clay. Depending upon where the clay is harvested, it is possible for the compound to posses both calcium and sodium. Even the FDA, which has a notorious habit of neglecting to give a thumbs up to alternative natural remedies, has deemed it as “generally safe.” The only real concern about the clay either topically or internally centers around its lead content. Although there are trace amounts of lead in bentonite clay, the volcanic ash has basically the same amount of lead found in sweet potatoes, collard greens, and sauerkraut. Thank you for these recipes! Will you clarify the amount/measurement of powdered green stevia leaf in the toothpaste recipe? Thank you! Audrey, it should have read 1 green Stevia leaf. It is just an approximate. Stevia is a whole lot more sweet than sugar, so it does not take much and just tweak to suit your tastes. I hope you enjoy making and using all of the recipes! I have read MANY of Kendra’s old articles, and never noticed this problem. I know that we now have a new writing/editing team. Now, I notice that MOST of the new articles contain numerous typographical errors, misuse of language, incorrect verbiage, etc., that would/should normally be caught and corrected by a simple proofreading read-through. Yes, I can read it and figure out what it SHOULD say, but shouldnt the writer care enough about the subject matter they are writing about to make sure it is presented correctly? Just saying. Susan, you are absolutely right and we’ll be more careful with this in future articles. Thanks!